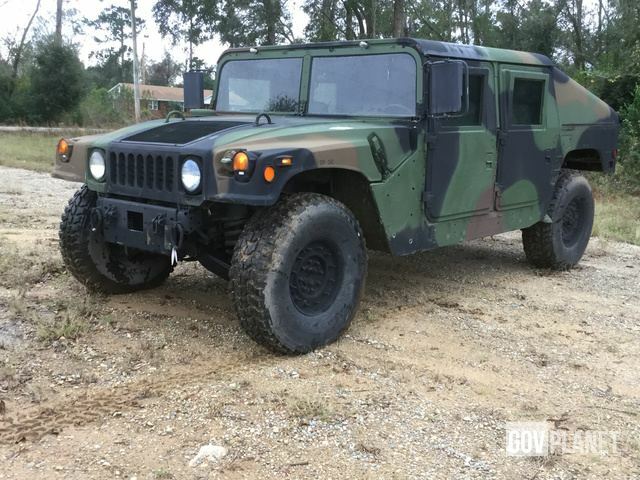 6.5L Diesel Engine, Automatic Transmission w/Park & Overdrive, 4x4, 10,300 lbs GVWR, 4 Door, Hard Doors, Hard Top, Slant back, Tow Carrier Body, 37x12.50R16.5 Tires. ***No further demilitarization is required. The HMMWV is available for pick up as shown. *** The Humvee sells with a clean SF97. Exterior Lights Some not operational. The head lights are inoperable. Click here to open photos and videos of this item. Odometer 50 Miles - IronPlanet makes no guarantees as to actual hours/miles; we can only report what can be visually observed. Click here to open photos and videos of this item.